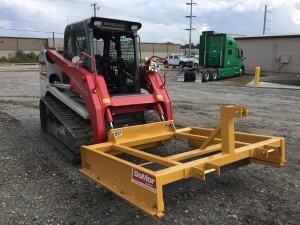 The SD Land Rake is the newest attachment in the DoMor Skid Steer lineup. Available in a 6′ or 7′ model, the SD Land Rake is handy for a wide variety of jobs. Clearing debris and vegetation is simplified by four full rows of staggered tines. 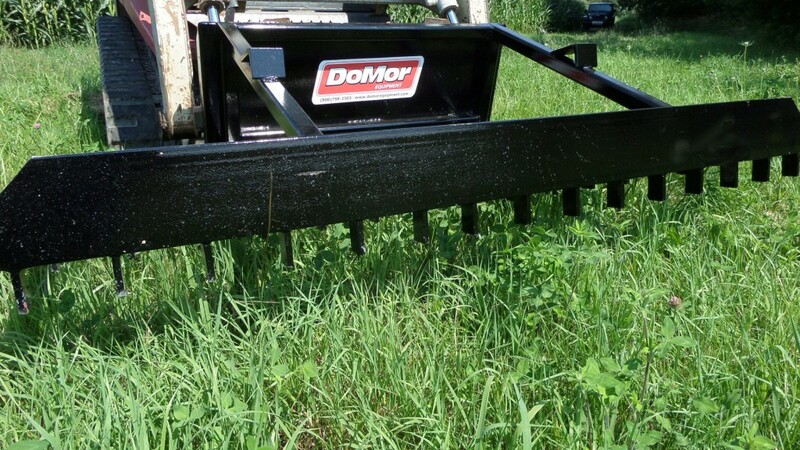 Whether you are rehabbing an overgrown trail, prepping a food plot or developing a bulldozed area the SD Land Rake can cut your work time in half. Our rugged 1/4″ thick quick attach plate will hold up to the toughest jobs. We’ve also included a 3/8″ thick front push plate that adds to the ruggedness of the unit, plus this plate doubles as a pushing surface to clear debris out of your path. R600C Aggregate Spreader in action. Save time, money and materials!!! 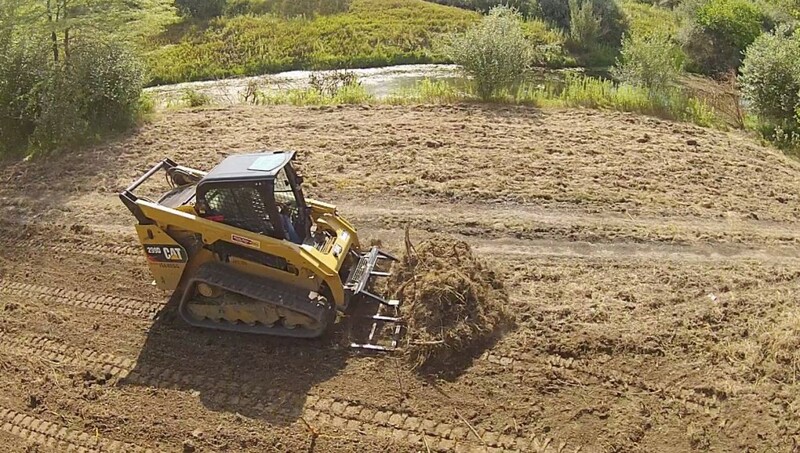 Perfect Grader for Driveways, Roads, Lots, etc. Perfect for rough & fine grading. Makes grading driveways, lanes or roads simple.